Thank you for making a pledge to Support New England Head Start . We will notify you by email when the fundraiser is launched! Help make a difference for the children and families in Connecticut, Massachusetts, Maine, New Hampshire, Rhode Island and Vermont! to endorse Dana Oltchick Lundy's fundraiser for New England Head Start Association . Did you know that the children (ages birth-5) who attend Head Start receive comprehensive support that helps them be prepared to enter school? The children are primarily those who are in famlies living at-or-below the Federal Poverty Level, and they are provided with services and support for: cognitive development, health care (including physical, mental and dental health), nutrition and family services. The New England Head Start Association (NEHSA) has partnered with the State Head Start Associations in CT, MA, ME, NH, RI and VT to raise funds that will help us spread the word about the impact and benefits Head Start provides to our most vulnerable children and their families. 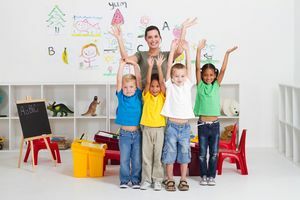 All donations received will be shared among all of the region's Head Start Associations to help with efforts to raise awareness of the programs in each state. Raised of a $25,000 goal. Endorse Dana Oltchick Lundy's fundraiser for New England Head Start Association . Log In or Create An Account to endorse Dana Oltchick Lundy's fundraiser for New England Head Start Association . Pledge to "Support New England Head Start "